America&apos;s Cup Race Management in San Diego will be using HBI 30 hard-bottom inflatables by Hunt Yachts as their "VIP Guest Experience" spectator boats when the AC 45 catamarans race there Nov. 16-20. This will be the first America’s Cup World Series event to be hosted in the United States. 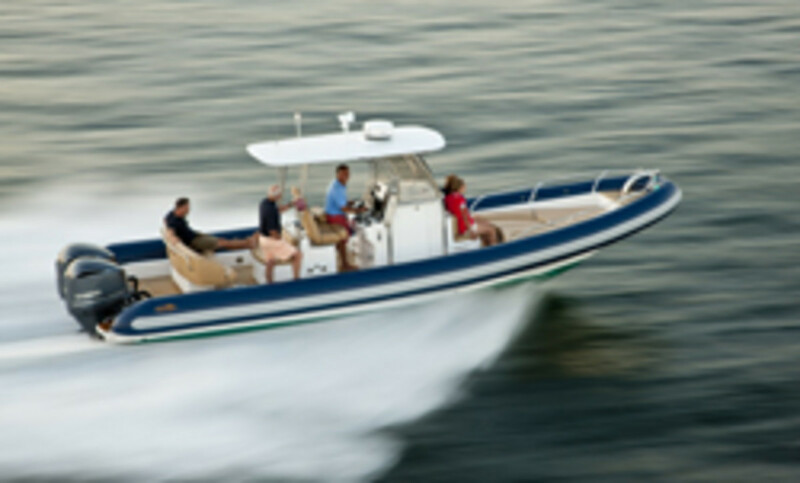 The HBI 30 is designed and built by Portsmouth, R.I.-based Hunt Yachts to be a luxury tender and sport boat for use in demanding conditions, precisely what is found when serving as a spectator boat for the racing AC 45 catamarans. HBI Boats, of the Noank section of Groton, Conn., is providing the HBI 30s, continuing a tradition it established in 1992 of America’s Cup service when its craft supported America3.